So, I was in New York City last week – my first time in the Big Apple – and I had a blast! Caught up with old friends, saw some shows, went to museums, had high tea at the Plaza. The whole nine yards. It was thrilling to witness “the best of every industry”, as my friend put it, that was represented in this mythical city. Seriously – since I’ve been back, it seems that every TV show and movie takes place in New York. But that’s not my point. My point is, while watching these truly talented performs strut their stuff on the Broadway stage, I couldn’t help but wonder, would I want to be doing that? You see, many of us are programmed to crave the spotlight. We are taught that those we see most often – the Beyoncés, the Bradley Coopers, even the J.K. Rowlings (as famous as a writer can get) – are the most important people in our society and their status is the only measure of significance and success. We are told that if we desire anything in this life, it should be to be the focus of attention in the biggest arena possible. Now, I’m not saying it’s necessarily a bad thing to go for fame or to want to be the front man. Some people are sincerely meant to be in that position and they inspire the world with who they are. There are times, however, when the thirst for fame can be misguided – not because we may not be talented enough but because, if we really think about it, it’s not what we actually want. When we’re striving for anything, it behooves us to actually look into what is involved in living that life. For example, being a prima ballerina seems like a beautiful vision – and they do look lovely and strong – but if that’s what you want to be, be prepared for really sore feet, Like bleeding and blistered more often than not. The shows that we saw on Broadway involved an incredible amount of physical activity ; not just two people sitting in chairs chatting away. And one of them, Harry Potter and the Cursed Child – completely brilliant, by the way – was constructed in two parts of three hours each. That’s literally six hours a day of running around and throwing suitcases and all sorts of crazy things! Would you be up for that? Would you be willing to move to a metropolis like New York if it meant being at the top of your field? It’s a big switch if you’re used to living in a small town. What about having to be “on” when you’re not feeling well? I remember watching a live broadcast from the Metropolitan Opera and, while the cast sounded glorious as always, there was so much sniffling and snorting backstage because most of them were sick. There are often ways to adjust things to better suit our inclinations. For example, you can love singing but not love performing live so you could potentially consider becoming a studio musician. Or you can do community theatre as a hobby rather than going for a full-time career as an actor and all that comes with it. Even so, however, we can still look at where our real talents and inclinations lie instead of towing the party line of fame and fortune. Well, I say that but, in many cases, it’s the ones who don’t have the fame who are actually making most of the money so I’m not really sure why they put those two words together so often. But that’s another topic of discussion. When I was in university, I went to see a counsellor on a regular basis. Hey, we all need someone to talk to at certain points in our lives. Anyway, there was a session when I when I expressed my confusion that I would be watching these people on stage and be totally captivated them but, at the same time, wasn’t sure if that was what I should, or wanted to, be doing. I knew could sing but was insecure about my voice at times, I wasn’t sure how I felt about travelling from place to place without fully experiencing it, being isolated, and I was adaptable to a certain extent but didn’t really like being up too late most of the time. I’m usually in bed at 10:00 most nights unless there’s a special event or something. So what was it that made me want to be these “rock stars”, for lack of a better word? And then my counsellor suggested something I’d never thought of before. He suggested that perhaps I was meant to be behind the scenes but I was attracted to something else about these people, like their confidence or level of skill. It wasn’t the fact that they were performing so much as they knew they were meant to be performing and they were damn good at it. And, to someone like me who was in a state of flux, that knowing would be incredibly attractive. He made me realize that I could be that assured and skilled as a songwriter or a producer or a director or whatever and have that same sense of self-possession and satisfaction as those “rock stars” seemed to have. So, if you desire being in the spotlight and entertaining the crowds and honestly love it and all, or most, of what it entails, go for it. Reach for your marquee dreams and good luck to you. But if you’re at all feeling a sense of disconnect with your creative path, I ask you to consider what your soul is really craving, look at your true gifts and talents and what skills you’re willing to acquire, and learn to be at peace with that. You may be a good guitar player but maybe you’d be an even better recording engineer or producer or even artist manager. You may be a decent novelist but you’d really be a brilliant journalist or editor. 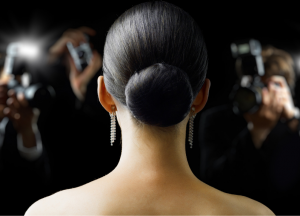 There are so many parts to play in this creative world, so many roles to fill, and none is more or less important or valuable than another, no matter what celebrity mags try to tell you and no matter how some of those celebrities – I won’t name names – like to give the impression that they do everything themselves . I’ll leave you with this. We love our lives the most when we are giving the best of our authentic selves to the world, whatever that looks like. So don’t be afraid of discovering what you’re really here to do. You’ll only be happier for it! In Swimming Tigress news, I’ve just put up some new tracks for licensing on Pond 5 . So, if you need music for your media production, whether it’s a commercial, TV show, web video or podcast, check out all available tracks here https://www.pond5.com/artist/tprochera#1 . Sometimes we can get creatively blocked – our current projects have been completed we have no ideas for new projects to undertake. That’s alright. We don’t have to be “on” all the time. But sometimes – at least I hope you’ve experienced this – there are so many ideas going through your head – so much inspiration – that you don’t know what do with it all and you can’t decide what project to actually focus on. That’s not a bad problem to have. J I’m actually in the process of releasing an ebook about how to keep those creative juices flowing – I regularly have several ideas a day and I want to help others have the same type of flow -so keep tuned for that. Anyway, realize that you can be working on more than one project at a time. You don’t have to spend eight or ten hours a day on one book – it’s alright to spend the morning on one story and the afternoon on another. You may think you won’t make as much progress but your attention can only be sustained for so long. There comes a point when you think you’re working but what you’re putting out is, well, how shall I say it – gobbleygook. So it’s probably a good idea to split your time up a bit to keep things fresh. Understand that all of your ideas may not come to fruition – perhaps they were never meant to – and those that do won’t necessarily happen at the same time. Some projects may have to be put on the back burner for a while. You have to trust that the projects you chose to undertake are the right projects for you for some reason or another. Alright – enough with the preamble. Here are some tips to help you decide what to work on and when. First of all, you can narrow down the projects that actually inspire you. Some ideas are just random passing fancy – you see a butterfly and you think you should do an art installation about butterflies. And maybe you should. Maybe it’s going to be your signature piece. You can certainly keep all ideas on tap, but some things hit you in the gut and keep coming back to you. Those are the ones to go for because they will keep you working. Keep in mind, however, that this is a creative industry so, if you do want to make a living at it, some projects may be more marketable than others. But , even if it doesn’t make you millions of dollars, you can still be learning something from the process – maybe it’s a new technique, maybe it connects you will something that can help you in the future. While we’re on the topic of deadlines, if you are interested in obtaining grants to fund your projects – something many artists do – you have to be mindful of deadlines for applications and when you are allowed to actually begin the project. If you have an idea for a grant-worthy project, you will likely need to do preliminary preparation well ahead of time so you can submit your plan before their deadlines – depending on the funding organization, some programs are always open to submissions, others accept a couple of times a year. And, even when you are accepted – which would be awesome – you may not be allowed to begin your project for another several months, according to the agreement. So, with the long-term preplanning involved, you want to get started on it as soon as possible while having other projects to fulfill you in the meantime. In fact, it may not be a bad idea to always having one short -term and one long-term project on the go. That way, you can scratch that itch that wants the immediate satisfaction of completing something – and might make you some money in the process – and still have that magnum opus, that masterpiece they will be talking about for generations to come. You can be submitting articles to your favourite magazines while you’ve got your epic novel on the go. So, those are some tips if you are in the blessed situation of finding yourself overwhelmed with inspiration. Have a fabulous day and keep on creating! So, today, let’s talk about networking. Some people love it. Some people dread it. Some people think it’s a waste of time. But it can be a useful tool if you do it right. First of all, what is networking exactly? Well, in its essence, networking involves people in related fields connecting with each other with the intention of forming professional partnerships. I’m going to discuss it here in terms of actual networking events rather than random encounters. These events can arise in various ways. An organization, such as a film group, may have regular gathering for those involved in the film industry – everything from writers, to DOPs to animal wranglers. There may be networking events associated with a specific conference or festival, like NXNE or Canada Music Week or TIFF. So, let’s say you’re a screenwriter and there’s a monthly gathering of film people coming up. Before the day even arrives, you might want to practice a little spiel about you and your work. Just a few sentences – something you might have time to reveal during a ride in an elevator – in case someone asks what you do. And they will. It never hurts to be prepared because you probably don’t want a potential collaborator asking, “So, what do you do?” just to respond with, “Oh, I don’t know. Stuff, I guess.” You’d be surprised at how easily you can get stumped with such a question, especially when you’re dealing with what you do all day long. You would think it would be easy enough to talk about but when you’re put on the spot words can fail you. So, the day of the event arrives. You may be going by yourself or with friends or colleagues, which gives you a bit of a leg up because you have a home base of people to talk to. Sure, this can provide a level of comfort but be careful that you don’t stick with the same people the whole time. You need to be able to branch out and make new connections eventually. That’s really why your there, isn’t it? If you’re a social butterfly, you may be comfortable with approaching people you don’t know and that’s definitely part of the battle because many people are not okay with talking to strangers. But even if you are open to it, you may find that, like I just advised against, people in these situations tend to congregate in groups of familiar faces (because they aren’t hip to what it means to network like you are 😉 ). This can leave you feeling like the odd man out, especially if you’re new to the whole thing. On one hand, it’s kind of a loss for them because they could be missing out on meeting folks like your fabulous self but fear not! These clique dwellers don’t have to remain entirely out of reach. 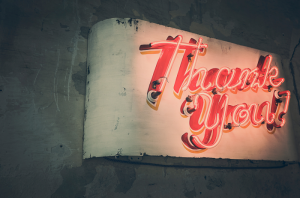 When I have experienced insecurity around networking events, a feeling which comes and goes for me depending on my mood and the environment, I like to rely on an old trick – the food table. If there is a table of appetizers etc. at the event, which there often is, attendees will periodically show up to grab a little something, sometimes in pairs but often as individuals. In this scenario, they have been removed from their group and you can strike up a conversation, like a predator going after the prey that has separated from the herd. So, now you are at the food table and a pleasant looking person is heading your way. You have finally mustered up the cajones and have the opportunity to start a conversation. What the heck do you do then? Regale them with a detailed account of your morning hygiene routine? Ask them why on earth 42 is the answer to the ultimate question of life, the universe, and everything? Well, you can start by commenting on something about the food – hopefully positive because people don’t like complainers unless, of course, they’re hilariously funny. “These spring rolls are amazing! Have you tried one yet?” or “Someone should throw this shrimp back in the ocean because they aren’t doing anybody any good up here” might be fun openers. You could also exchange names while complimenting the other person – maybe on something they’re wearing. “Hi, I’m Tiffany. Those are great shoes.” Then you can ask them what brings them to the event – that will lead into a discussion of what you both do in the industry. This is where your practiced speech comes into play. You don’t necessarily need to spill all the beans at once. Start off with, “I’m a screenwriter.” Then let them ask, “What kinds of scripts have you done?” Let the conversation evolve piece by piece. You might want to avoid being overly aggressive. “I’m a screenwriter. Wanna produce my script about a lizard man who discovers he is a cow having a dream?” I’ve seen people do that and it smacks of self-centeredness and desperation. Here’s the thing to remember as the conversation progresses. The person you are talking to may be the answer to all your prayers, the one who finally helps your career take off. And maybe they aren’t. But regardless, they are still a person. Have a real conversation, ask questions, get to know them, and detach from expectations of possible outcomes. I have too often witnessed and experienced the beginning of a networking conversation and, when one party discovers that the other party isn’t “important enough”, isn’t worthy of talking to, they lose interest and just walk away. Some people may take this approach as a way of saving time and energy but, even if the other party understands this on a logical level, they might still feel put off and be unwilling to work with or help you in the future should such an occasion arise. There’s no need to go burning any bridges. Here’s the thing. You don’t know where the conversation is going to lead. If you are a screenwriter, your intention may be to pitch your latest script to all the producers in the room but you might find yourself inspired by an unexpected conversation with a composer or a horse wrangler. You might be meeting your new BFF or romantic partner. Even if you are going to think of it strictly in terms of making business connections, you never know who the other person might know. That horse wrangler might be the brother of Steven Spielberg – if he has a brother. I don’t know. Anyway, don’t dismiss someone just because they don’t seem to be the type of person you were hoping to speak to. That being said, you also don’t want to keep the conversation going for too long, unless you both are totally vibing on each other somehow and are ready to go off and get a proverbial or literal room together. The goal for you, and likely everyone else in attendance, is to meet several new people during the course of the event, not just one. And once you start a conversation, a polite person may not be able to remove themselves if there is someone else they want to talk to. I would say ten minutes is a good length of time – long enough to learn a bit about each other and see if there is potential in the relationship but not so long as to be dominating. You can close the conversation off with, “It’s been great talking to you. I should probably let you continue working the room.” Awe! Aren’t you considerate? Then you can exchange cards or agree to meet again over coffee or something if you have some actual business to discuss. Now, let’s say there is no food table or, God forbid, all the food is gone! What happens then? Well, I know it’s a scary thought but you can simply stand in with an existing discussion – provided it doesn’t appear to be private. You don’t want to barge in on two people talking about a recent break-up or anything. You might get the stink eye for doing that. If it’s a decent size group and they seem good-natured enough, just stand there with them and they will likely widen the circle to accommodate you. Don’t feel the need to talk right away, unless of course you’re addressed. Listen for a little while, click in with the vibe, and then feel free to share and take part! A final thing I will say is that if you discover that you’re not feeling it that day, if you’ve given it a good attempt but you’re just too tired or too nervous or you’ve met a couple of people and your sociability account is maxed out, that’s alright. Don’t be hard on yourself. We all have times when we’re feeling more or less willing to be around others and maybe it’s better to step back and try again on another day than to put yourself out there when you’re not up to it and end up making a bad impression. Have you ever been at a party where there was a guest who was just not in a good frame of mind and you figured it might have been better if they had just stayed home? So, think of networking as a chance to build some confidence, practice talking about what you do, and you just might meet someone who will be in your life for years to come in some way or other. If nothing else, you’ll probably have some good laughs. There are always entertaining conversations to have so enjoy and don’t worry about it. It gets easier with practice! Now, in Swimming Tigress news, Swimming Tigress Music has now listed much of its catalog on Sheet Music Plus! You can visit the publisher page here. 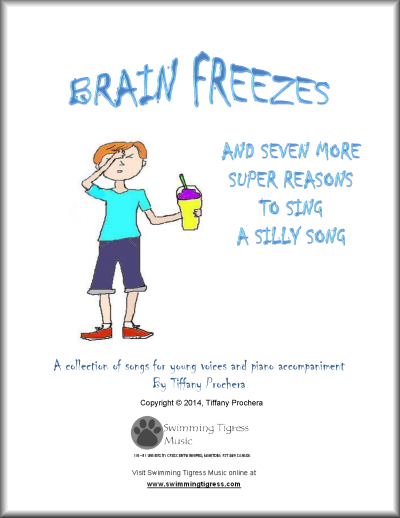 Of course, you can also access the entire catalog here on our site at the Swimming Tigress Shop , including the songbooks Bad Moods and Seven Other Super Reasons to Sing a Silly Song and Brain Freezes and Seven More Super Reasons To Sing A Silly Song. It’s Not The Industry, It’s You: Who And What Is Responsible For Your Creative Success? So, I was talking with my mother who had just attended a screening at a film festival. There was a Q and A with the director – or writer or writer/director – and he was asked by an audience member if he was making any money with his films. The director, apparently, proceeded to explain how it was a tough industry and, no, he wasn’t making very much. I’m, frankly, a little tired of this talk. I hear it far too often and it’s pretty annoying and indicative of a victim mentality. Now, make no mistake. I have had varying levels of success with my work but I have never once blamed it on the field I have chosen to work in. Here’s the thing. If you’re complaining about how challenging the industry is – whether it’s music, film, publishing, listen up. And I say this with all the love in the world. It’s not the industry, it’s you. You’re probably giving me the stink eye right now. But I’m trying so hard, you’re saying. I’m really good, you’re insisting. If anyone deserves success, I do, and how dare you say my lack of success is my fault! Before you start writing that hate letter, let me explain. Your lack of success may be due to one, or a combination, of several factors, all of which are within your power to control to one degree or another. First of all, a big part of the problem is simply the fact that you’re telling yourself it’s a tough industry. It’s a prominent belief, and say I’d it’s a universal fact, that you see it when you believe it. What you focus on increases. If you’re all moping around moaning about how the industry won’t give you a break and only a special few can make a living at it, then the universe turns around and says, “All right, if that’s how you think it is, you got it, toots!” And you will continue to see your journey as difficult and success will be elusive. But if you choose to believe that opportunities abound and any setbacks are merely clues and lessons on your way to inevitable victory, you’re much more likely to do well. At least give that mentality a try for a while and see what happens. Second of all, look at what other people are putting out into the world. You may love what you do – and I sincerely hope you do – but is your work of a comparable quality to those who are succeeding? 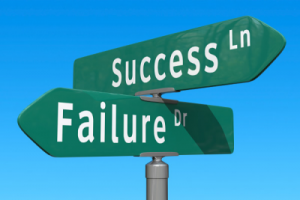 Certainly, there are some who find success regardless of their skill level –these are usually people who either have such determination and such confidence in themselves that they refuse to see failure as an option (see point 1) or they happen to come across an idea that just needs to be heard at that point in time – but, for the most part, a certain level of proficiency in your craft is required. But not to worry. If you find your skills lacking, you can work on them. You can get better. We are always growing as artists and as people. You may just need to do something else for income while you are doing that growing and that’s okay. 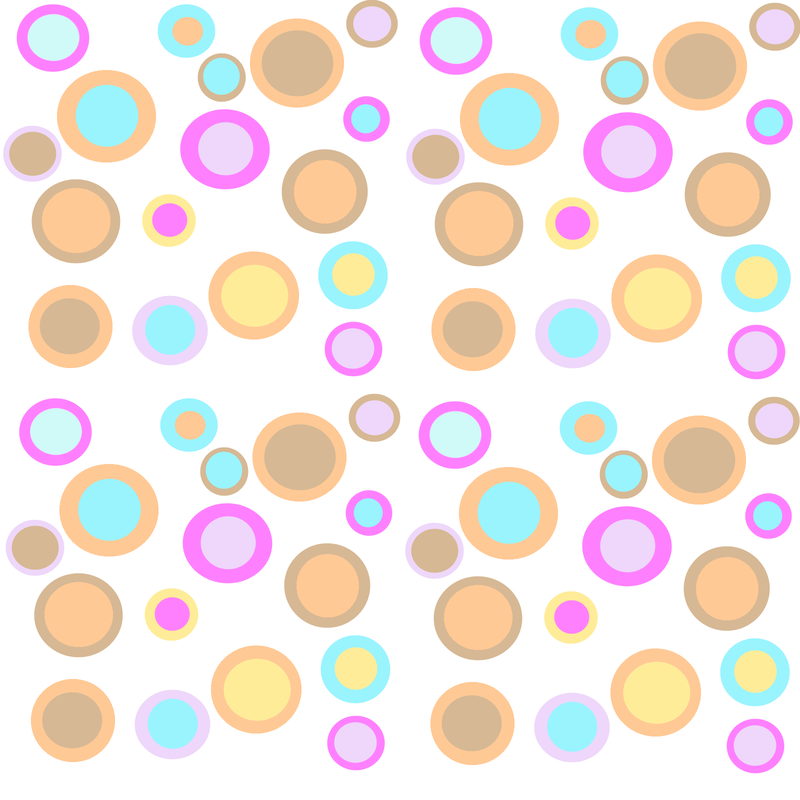 Thirdly – also along the line of the observing others thing – what kind of work are people putting out there that might be popular? What is the world looking for? 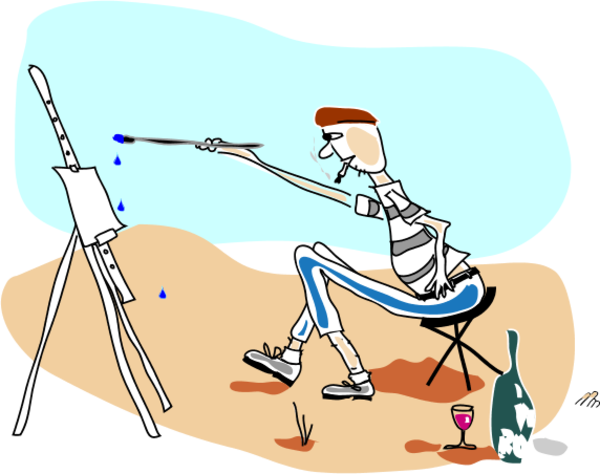 Now you may be thinking, I am an artist, darn it! I do not pander to the masses! And, certainly, you don’t have to. Part of what is great about art is the opportunity to express our unique perspectives. But keep in mind that a bleak, subtitled film where some guy’s business gets chopped off at the end may, just may, have a somewhat limited audience. Or it could blow up and be shown in theatres all around the world. Anything’s possible. But even if you’re into more unconventional expression, you may want to, for the sake of your bank account, consider reserving at least part of your energy for creating works of greater appeal. There is no shame in that and you may ultimately find that it’s where you end up making your greatest impact. And what are you doing to get your work out there? I have talked about this in other posts so I’ll try not to repeat myself. If nobody knows you exist, it doesn’t matter if you’re the reincarnation of da Vinci, Moliére or Mozart. Learn about effective strategies to get your work seen according to your chosen medium and invest some time and energy, and, likely, money into gaining exposure. There may come a point where your work speaks for itself and you develop a reputation that sustains you but, until then, do what must be done. And finally, maybe you would be best working with others, using your talents in the context of something larger than yourself. 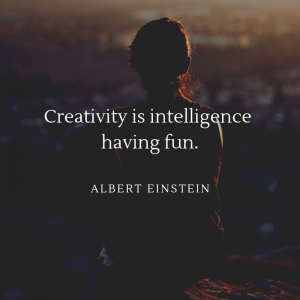 If the goal is to use your skills, think creatively – I know you can! – and you may find several applications that are fulfilling and lucrative. Perhaps it’s a true collaboration with like-minded folks who can assist you in achieving a common goal. Perhaps it’s working for an established company that needs exactly what you have and want to offer. There are options. And you can always do your own projects off the clock. So, there you go. Until you have taken these actions and done everything possible to give yourself the best chances for success, do not blame the industry. Go forth with confidence, faith, and a knowing that you have the power to shape your own creative destiny. Now, In Swimming Tigress news, I’d like to introduce the brand new Swimming Tigress Shop! Powered by the good people at Shopify, it’s your change to get all your music and books from Swimming Tigress Music and Swimming Tigress Press straight from this site! Visit the store now and browse around the catalog! This is a hugely important topic for me so I apologize – and not – if I may get a little intense here. I have always strived to be a positive force in my personal life and in my career. I believe we need to be conscious of the energy we put out in the world because, whether or not we are aware of it, what we do can have an effect on others. And that includes our art. 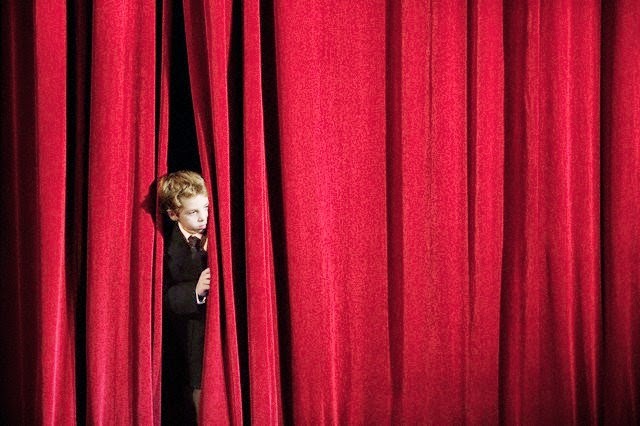 Stage fright – that moment before your performance or presentation that can seem like hours – and sometimes it does last hours! – where you find yourself shaking with sweaty palms, thoughts of doom running through your head. You tell yourself it’s going to be a total disaster and you can’t go on. You would rather die! Getting up in front of a group of people doesn’t have to be a terrifying experience – really, it doesn’t! But what can you do to get over these nerves so you can still go out and rock that stage? 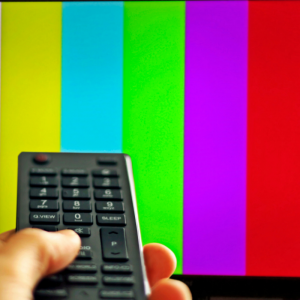 In this episode of MuseTV, I offer you four tips to help get you back on track. If you found the video helpful, feel free to share with your peeps, add your thoughts in the comments section below and subscribe to the Mews and Moos Blog for more fun stuff! In other news, with the approach of fall, I am happy to be starting another season of vocal instruction this week! Yay! Always a fun time of year! If you or someone you know is interested in learning to sing, check out the Music Education video from the last post and don’t hesitate to contact me. With the advances in technology, not only can you take lessons with me in person if you live in Winnipeg but you can also study online via Skye. Well, have a great day everyone! Carpe diem! The First Episode of MuseTV! The Power Of Music Education! I hope you had a great summer and are looking forward to the coming of fall. You know, I think it`s because of so many years going to school but September still seems like a fresh start to me. I love it! This week, it is my pleasure to share with you all the very first episode of MuseTV! MuseTV is a series (hopefully!) of videos with tips for musicians and music teachers hosted by yours truly. Of course I will be posted other videos, articles etc. by other fabulous people on here but this will be my personal offering. This week`s episode is about music education and how it can benefit the student in ways beyond the gaining of a musical skill. If you’re a teacher who wants a reminder about the impact you can have on your students or if you’re contemplating studying music and are curious about what you can really get out of it, check it out! And keep posted for more fun and inspiring tidbits in weeks to come! If you enjoyed the video – and I hope you did! – feel free to share, comment below with your thoughts and don’t forget to subscribe to this blog and the Swimming Tigress YouTube Channel. In other STM news, I’m uber pleased to announce the birth of my new child, Brain Freezes And Seven More Super Reasons To Sing A Silly Song! The follow up to Bad Moods And Seven More Super Reasons To Sing A Silly Song, it’s filled with 8 new songs students will love singing and teachers will love teaching. To learn more, head over to www.tiffanyprochera.com to view the musical score, listen to sound clips etc.. You can also visit the brand-spanking new Swimming Tigress Music store at swimming-tigress-music.myshopify.com. Well, that’s all for now. Hope you have a fabulous day and we’ll see you next time! Here are some updates from STM/NP land! Tiffany had the pleasure of being a guest solost at the Joie De Vivre Singers spring concert on April 28th. The audience was wonderful and she thoroughly enjoyed singing a couple of Ukranian folk songs arranged by W.H. Anderson as well as her very popular Magical World. She’s also busy working on a new collection of songs for intermediate vocalists and a musical for young people, Mocha and the Moon, about a jersey cow named Mocha with some astronomically high aspirations! We thought we’d share with you a poem of Tiffany’s that is being set to music for the song collection, the dramatic I Have Lost My Bottle of Faerie Dust. Enjoy! These eyes fixed on the curves of a leaf that had fallen to the ground. These lips were enraptured by the sweet taste of a berry’s juice. Now, tis so bland it is sour. How cruel it sounds! It mocks me. The stars don’t sing me to sleep. The music is gone! The music is gone! Oh where, where is my bottle of faerie dust? Before all the memories disappear. Before all colour and light is extinguished. In NP news, we’ve put up Part 4 of Tabitha’s Magical Voice on our new Notalotabull Press Storytime Blog. When the Grenigots discover that Tabitha’s voice can save them from the dreaded nados, they want to hold her captive forever. How is she going to get home? Download your copy of the ebook at www.tiffanyprochera.com. Well, that’s all for now! Have a great day and keep posted for more!